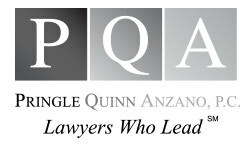 Doris Cheung | Pringle Quinn Anzano, P.C. DORIS CHEUNG was admitted to the New Jersey Bar in 2011. She graduated from Cornell University, College of Human Ecology with a B.S. degree in Human Development in May 2008. She received her Juris Doctorate from Rutgers University School of Law—Newark in May 2011. During her tenure at Rutgers University Ms. Cheung served as a clinical student in the Child Advocacy Clinic and the Urban Legal Clinic, where she represented, counseled, and provided post-dispositional representation for clients. Ms. Cheung also interned with the Honorable Roger Daly of the Middlesex County Superior Court. After earning her J.D., Ms. Cheung clerked for the Honorable Kathryn A. Brock of the Union County Superior Court in the Family Division.